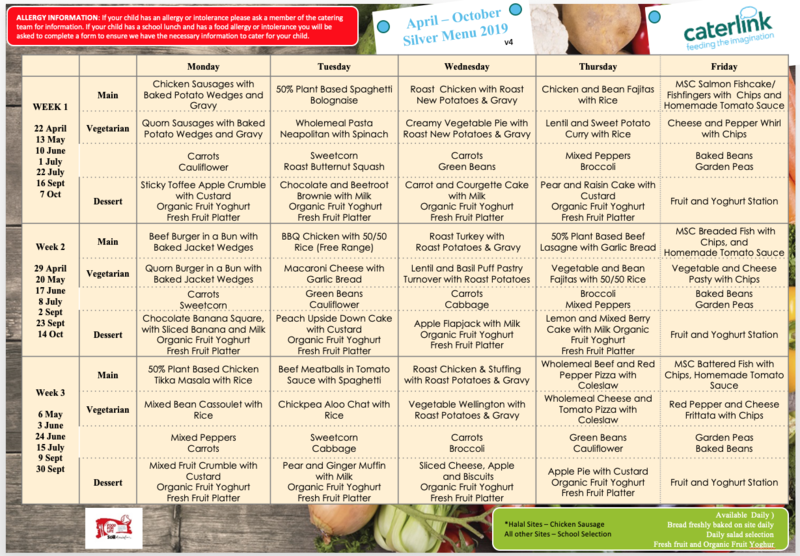 Healthy, well-balanced school meals are cooked here on our premises daily. We make provision for children who are vegetarian or who have severe allergies. We encourage the children to eat a school lunch, especially the younger ones, as we believe it is important to have a hot meal at lunchtime. Children may bring a packed lunch if they prefer or if they have specific dietary requirements which cannot be met by the catering company. This should be a balanced meal with no crisps, chocolate or fizzy drinks. Children can opt to change from school lunch to packed lunch and vice versa, but this can only happen at half-termly intervals, by informing the staff in the School Office. Payment for school meals can be made weekly, half-termly or termly using the online payments system - School Gateway. Under the Government’s initiative of Universal Free School Meals, all Reception and KS1 pupils receive a free school meal. From March 2016, Caterlink are the new catering company. The cost of a school meal is £2.40 per day, £12.00 per week. A letter is sent to parents from the school office staff advising the amount payable for each half term or full term. 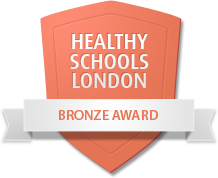 St Mary Abbots has achieved Bronze Award Status in the Healthy Schools London programme.